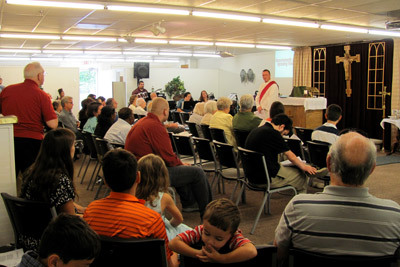 9:30 am Sunday Worship with Sunday School Following. Children are welcomed and cherished at St. Andrew's. Our philosophy is: better to have noisy children than no children. We welcome all baptized children to receive Holy Communion. Our services involve everyone, not just the clergy. 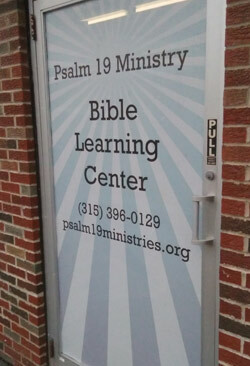 We welcome new: Vocalists & Musicians, Lay Readers, Acolytes, Lay Readers, Ushers, Altar Guild and set-up / tear down crew. St. Andrew's worship service is at 9:30 am. Always check our Facebook or homepage for special events and times. As Anglicans, we worship as Christians have since the earliest times of the Church. St. Andrew's uses the Book of Common Prayer 2011, which is essentially a modern English version of the 1549 Book of Common Prayer, which was the Church of England's first praybook created by Archbishop Thomas Cramner. We sing the best of traditional and modern hymns and more contemporary worship music and have a number of musicians that lead us music. We print our own liturgical resources. St. Andrew’s celebrates Holy Communion every Sunday with a traditional Anglican prayerbook liturgy that follows the church year. We welcome all baptized followers of Jesus Christ, both adults and children, to receive holy communion. We celebrate the church year through a variety of events which have included in the past: Baptism and Confirmation services, Maundy Thursday Foot Washing and Good Friday Stations of the Cross, Holy Saturday Vigil, Christmas Eve and Day services, Pentecost, St. Patrick's Day, Epiphany and Ascension Day services, a St. Joseph's Day dinner & Eucharist, healing services, an instructed eucharist and in many other ways. The church year is a way to order our life around celebrating who God is and what He has done. About once a year, St. Andrew's will have an 'Instructed Eucharist', which is a service where we explain why we do what we do in the worship service and life of the church. 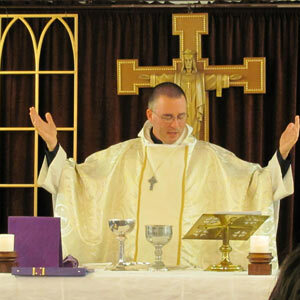 Watch the Home page and Facebook site for the next Instructed Eucharist. St. Andrew's is a 'three streams' church: We are sacramental, rooted in the worship and practices of the ancient church. We are evangelical with a passion for the Bible and evangelism. And we are a Spirit filled church, enjoying present day power and ministry of the Holy Spirit. This is reflected in our worship. St. Andrew's worship service is at 9:30 am and is held in the Psalm 19 Ministry Center, 6138 S. Salina St. We are grateful for our long-time friendship with Rev. Iris Godfrey and Psalm 19 Ministries, who has welcomed St. Andrew's to worship in their ministry center for over the past 10 years.